Though they might sound futuristic, emerging tech trends such as virtual and augmented reality are already leaving a mark on the way we design learning and training programs. I’m a huge nerd: I love video games, sci-fi stories, and technology. What engages me most about these things is the feeling that, when done right, they’re giving us glimpses into what our society will look like in the future. Imagine strapping on an Oculus virtual reality (VR) headset to play a video game and to let your mind wonder: what else could we do with that technology? The truth is that you don’t need to wonder for long, as VR is already being used as a tool to create engaging and immersive learning and training programs across the world. The same can be said about augmented reality, artificial intelligence, and other emerging technology trends. Instructional Designers are integrating them to revolutionize how adults learn in the workplace. Here at SweetRush, we strongly believe in the power of these technologies to create learning solutions that capture the attention and imagination of learners. That’s why we launched SPARK, our emerging tech division, in 2018, and we’ve been spreading the word about the power of technology to make learning better and easier for everyone. Check out these three articles and gain insights from our instructional technology experts at SPARK! 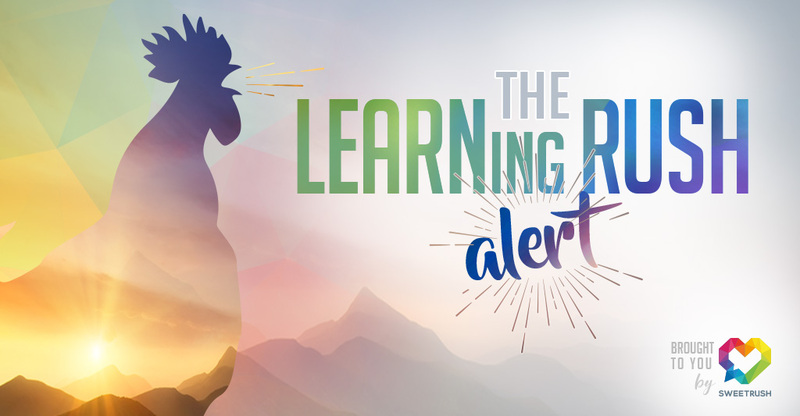 As the L&D field adapts to compete for learners’ attention, let’s take a look at some of the emerging technology trends that could most impact learning and training. Read more. How can these tools benefit learners and help organizations build better learning experiences? Read more. Before implementing courses driven by emerging technology, you must determine whether a tech-assisted learning program is a right fit for your learners. Read more. Emerging technologies are on the rise, and they will continue to evolve constantly in the near future—as their influence on the L&D field continues to grow. Who knows what Instructional Designers will be able to develop over the next few years? In the meantime there’s plenty to be excited about. For a quick glimpse into the basics of emerging technology, look at this handy infographic, and stay tuned for more from SweetRush’s SPARK team.